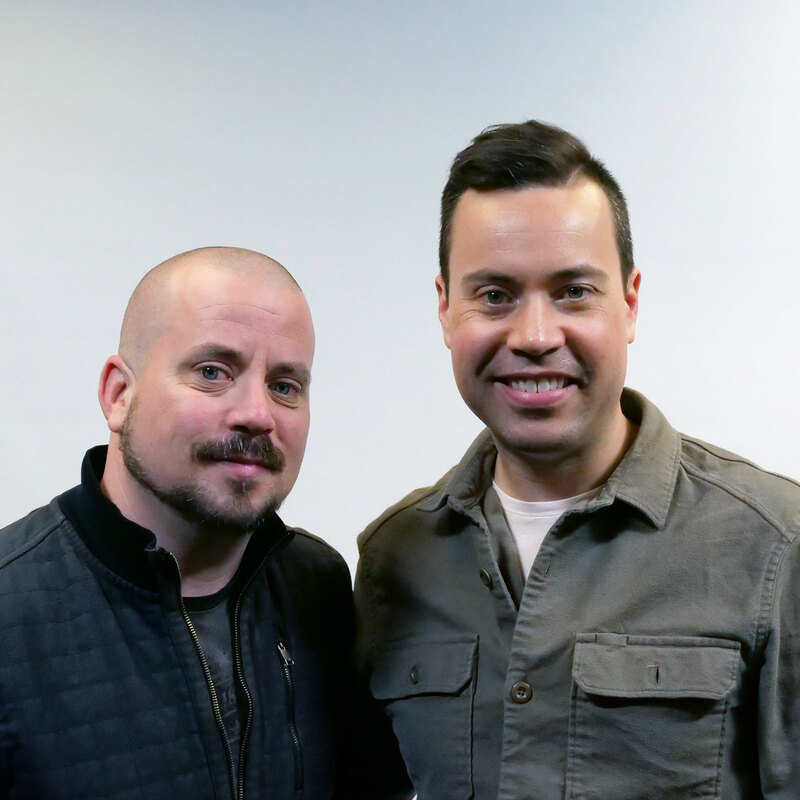 David Smalley (@davidcsmalley) is an actor, comedian, and host of the Dogma Debate podcast, in which he — as an atheist — regularly discusses religion and politics with preachers, pastors, comedians, and people who hold different world views. How to debate in a way that might actually change someone’s mind rather than angering them to the point of doubling down on their initial position. If you’re honest with yourself, you probably hold beliefs that would wither under the light of reasonable scrutiny. Maybe they were instilled in you as an impressionable child and never since questioned. Perhaps you picked up some casual indoctrination along the way that you haven’t been able to — or willing to — shake. Don’t feel bad — we all hold such beliefs. And while these beliefs are often religious or political in nature, they can present themselves in countless forms — and we should always be ready to challenge these beliefs so we can defend them if they truly serve us or shed them if they don’t. On this episode we talk to Dogma Debate host David Smalley, an actor and comedian who’s no stranger to challenging his own beliefs as well as the beliefs of others. As someone who’s made the journey from true believer to atheist, David is well-versed in seeing both sides of an argument and engaging in civil discourse with people who hold opposing points of view — something the world may need now more than ever. Listen, learn, and enjoy! The National Highway Traffic Safety Administration (NHTSA) reminds us to wait at the railroad crossing if the signals are on — even if we can’t see the train, it’s probably closer than we think. STOP. Trains can’t! The Hartford Insurance Group knows there’s nothing small in small business, and it’s been protecting customers for over 200 years. Learn what it can do for you and your business at thehartford.com/smallbusiness! One’s a comedian, one’s a radio/TV host. Together they bring you The SDR Show — a no-apologies, not politically correct, not for the faint of heart show that somehow blends the classic energy of a morning radio show into the new era of digital entertainment. Listen to The SDR Show here or where your ears enjoy podcasts most! By labeling Dogma Debate host David Smalley as an atheist, you might think you already know how a conversation with him will play out before it’s even begun. The same could be said if he were labeled as a Christian. The truth is: David’s been both. “I started in podcasting because I was listening to radio; I was listening to Christian podcasts,” says David. “I would call in to Christian shows and ask them questions, because I was still going on my journey. I started as a believer and I was sitting down with theology professors, pastors, preachers, lay Christians who were in congregations of different churches. David didn’t set out to be contrarian. In truth, he really wanted to better understand his own position so he could argue in its defense. But as his arsenal of information grew, the ground beneath it started to give way thanks to an all-too-common experience he’d have when putting Christian podcasters on the spot. Dogma Debate began as a forum David envisioned as a safe place for atheists and believers to discuss their differences like adults — a refreshing alternative to name-calling flame wars so prevalent across the Internet. At the same time, David resisted the urge to censor discussions that did veer into this territory, opting instead to guide it back to civility. As it gained steam, Dogma Debate evolved from its blog and forum format into the podcast we know today. Now running seven years strong, it’s an excellent example of how people on opposite ends of policy and belief can respectfully challenge each other from a place of curiosity — a valuable reminder to all of us that healthy debate is possible when we apply critical thinking to any topic at hand without letting our emotional associations with that topic get the better of us. When we can question our own beliefs and shelve the ones that wither under scrutiny, we also shield ourselves from being taken advantage of by others with agendas that conflict with our well-being. Listen to this episode in its entirety to learn more about the innocent spiritual question David asked as a child that earned him a mouthful of soap, the journey that turned David from a true believer into a secular atheist, the similar tactics car dealers and clergy use to corral people into compliance, what happens when atheists cling to faulty beliefs with the same fervor once reserved for their disavowed religions, how to debate in a way that might actually change someone’s mind versus angering them to double down on their initial position, and much more. Click here to thank David Smalley at Twitter!